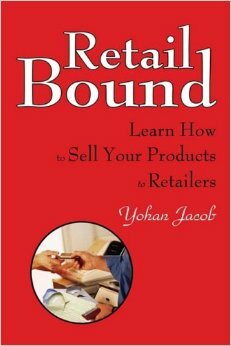 Learn the ins and outs of retail and get your product on your favorite retailer's shelves.Thinking about selling your product to retailers? This no-nonsense guide walks you through the process of selling to and working with retailers-from designing, pricing, and presenting your products to getting repeat orders. Retail Bound: Learn How to Sell Your Products to Retailers helps entrepreneurs, inventors and small manufacturers learn how to get noticed by retail buyers big and small.Yohan Jacob has worked as both a sales rep and a merchandise buyer for retail, online, and catalog companies and has helped many prospective vendors break into the retail world. Enjoyed these resources? Click the button to talk to us! Get the retail assistance from the top retail experts in the industry.